When Ngoc was a little 3 years old girl, she used to always dream of her Prince Charming and painted her fairytale wedding in mind. 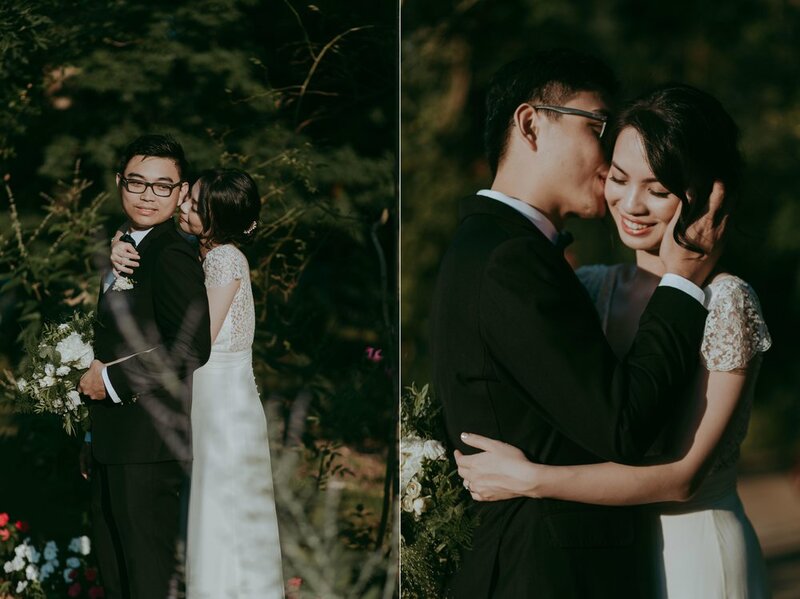 16 years later, Cuong came along in her life and determined to make her fairytale came true even he knew that he was not that Prince Charming Ngoc had imagined about. 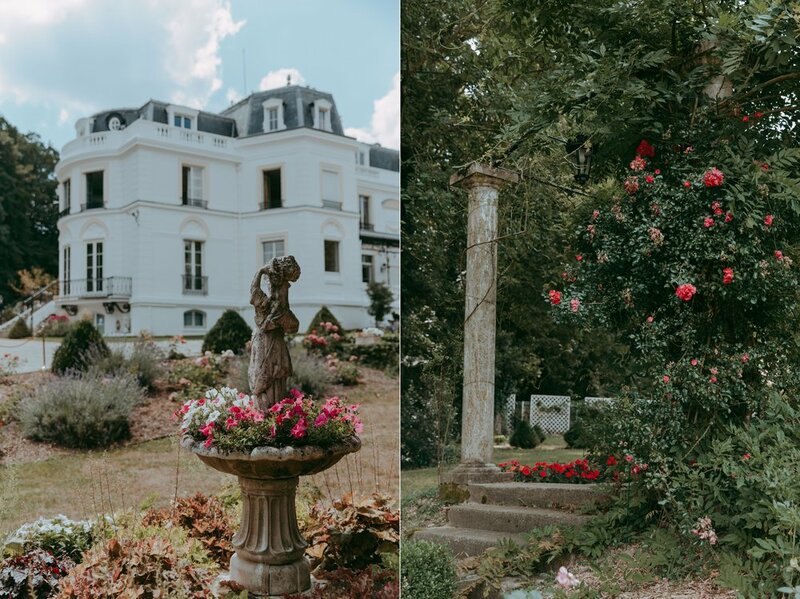 The wedding took place in Chateau de Clos - a magnificent French castle in the Yvelines. 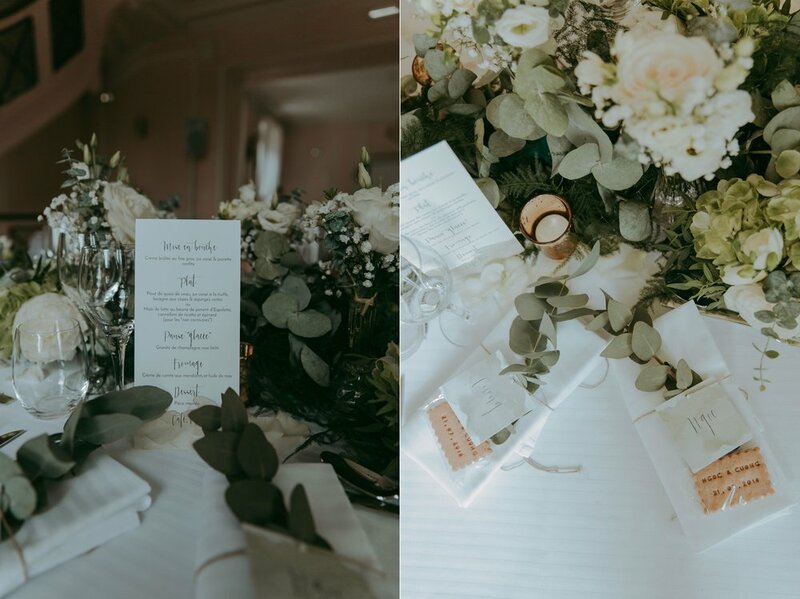 Every corner of the chateau, from dining tables to ceremony garden, were covered with white roses and green touches of eucalyptus, so gorgeous and elegant just like Ngoc had always dreamt about! Ngoc chose herself a beautiful silky white dress from Laure de Sagazan with lace detail on her open back, which was effortless chic and graceful. She looked stunning! And most importantly, she was happy! The moment Ngoc walked down the stairs, seeing Cuong in his Prince costume, she smiled and her eyes shined! They gazed into each other's eyes and their love was blossoming! 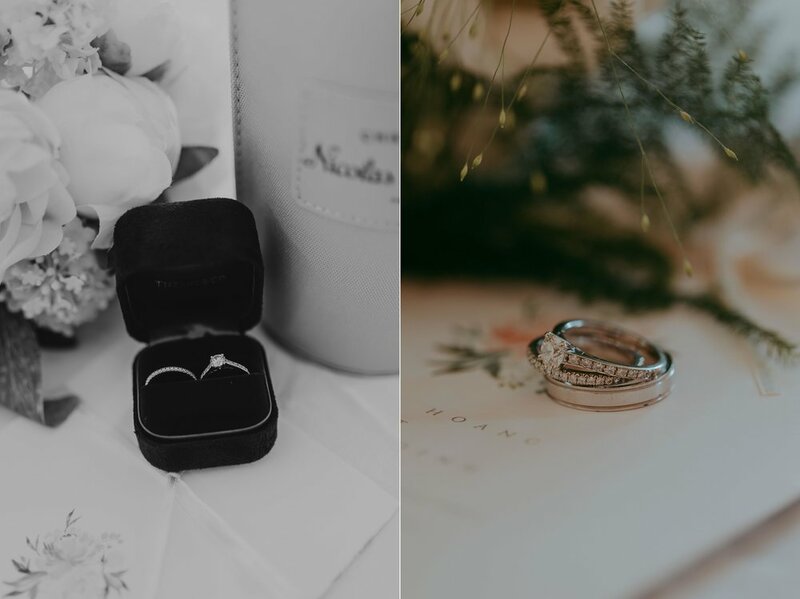 The couple then shared their emotional moments with friends and family when they gave each other's touching speeches.I heard laughs, I saw smiles and also tears. The celebration was filled with beautiful toasts from family and friends, delicious food, amazing firework and dances through the night. Ngoc hasn't found her dream Prince but love of her life, and I wish two of them happily ever after.